Diagnosed with Mesothelioma or Lung Cancer from Asbestos? Get a Free Legal Consultation. $30 billion available RIGHT NOW for victims of all asbestos-related diseases. 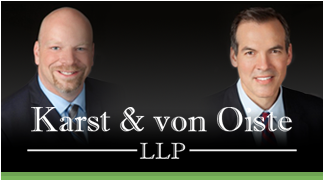 With over $30 billion available for victims through the Asbestos Trust Funds, you could be entitled to financial compensations without ever filing a lawsuit? This article provides a thorough overview of asbestos use and its cancer-causing properties, types, treatments, prognosis and more. The myriad health problems that asbestos has wrought on humanity over the centuries – including asbestos cancer, or mesothelioma – all come down to the usefulness and affordability of the natural mineral forms of asbestos in a wide variety of industrial and construction applications across the world. As early as 200 years ago, companies understood that asbestos fibers were extremely useful for thermal resistance, tensile strength and insulation properties. Asbestos is strong. It withstands extremely high temperatures with ease. Also, it is critical to understand that using asbestos was extremely affordable to both mine and use in many industrial applications. One of the most popular but less well known uses of asbestos was in cement. When asbestos was mixed with cement, it greatly increased its tensile strength without adding significant weight. Increasing tensile strength means using less cement, which reduced project costs. Asbestos also is highly fire and heat resistant, making it a perfect choice for cement used in many major construction projects. Asbestos insulation was the most significant source of asbestos exposure for workers in the 20th century. It was often used in homes, buildings, cars, ships, and manufacturing facilities. Anywhere insulation was used, asbestos was usually involved. Insulators in the 20th century were often called asbestos workers because they installed the product so often. Bans on asbestos use for insulation in the US did not occur until the 1970s. Today, the EPA allows companies to produce insulation with asbestos if it is in amounts less than one percent. One of the most common uses of asbestos in the 20th century was on ships and in shipyards. It is estimated that one in 500 shipyard workers worked with asbestos insulation. Workers who used asbestos in their work most often were ship fitters, machinists, boilermakers and painters. FAST FACT – Many companies knew in the early and mid 20th century that asbestos could cause asbestos-related cancers. But its use continued due to its usefulness and affordability. In recent decades, scientific evidence has emerged that exposure to asbestos can lead to many serious malignant diseases, including various forms of mesothelioma that affect the lining of the lungs, heart, abdomen and other organs. Today, the evidence is clear: Regular exposure to asbestos can cause usually fatal asbestos cancer, a truly horrible, always always fatal and very painful cancer. Doctors in the United States diagnose approximately 3,000 cases of asbestos cancer or mesothelioma every year. Nearly all of them are caused by lengthy exposure to asbestos, which may have occurred decades ago. The latency period for this cancer can be from 20-50 years. It takes an oncologist to make a definitive diagnosis of asbestos cancer. The majority of asbestos cancer is called pleural mesothelioma. This is the type that grows on the lung lining, but it also can develop around the heart and abdomen. Mesothelioma develops after people are exposed to asbestos either on the job or in the home. The most common settings for exposure are in car repair shops, old homes, various manufacturing facilities, mines, shipyards, schools and old public buildings. It normally takes many exposures over years to get this cancer. But short term or even one time exposures can cause asbestos cancer. The specific scientific reasons for what triggers asbestos cancer cells to form have begun to be understood in recent years. Researchers long puzzled about how asbestos fibers that kill regular cells could cause cancer; after all, a dead cell should not be able to grow once again and develop tumors. They have found that when asbestos fibers kill cells, they do so by starting a process known as programmed cell necrosis that causes a specific type of inflammatory reaction that leads to release of mutagens and other factors that lead to the growth of tumors. FAST FACT – Approximately 75% of people with mesothelioma were exposed to asbestos at the workplace. Asbestos may cause very serious health problems when various duties on the job or in the home cause materials containing asbestos to release tiny, sharp fibers into the air. When these shards are inhaled or swallowed, the human body makes a valiant but futile effort to rid itself of them. Over many years, the fibers that are embedded in the lungs or other organs can trigger severe biological effects that lead to inflammation, scarring and genetic harm. In the worst cases, the result is asbestos cancer. Pleural mesothelioma is most common because asbestos fibers get most easily trapped in the lungs. However, they also can cause cancer in the abdominal cavity, which is referred to as peritoneal mesothelioma, and the heart, which is called pericardial mesothelioma. Below are more details about these types of asbestos cancer, as well as treatment options, prognosis, and symptoms. Pleural mesothelioma is the most common type of asbestos cancer because most asbestos fibers people are exposed to are breathed into the lungs. In approximately two to 10% of people who have been exposed to asbestos, the trapped fibers in the lungs lead to pleural mesothelioma. The tumors quickly grow around the lungs and are very difficult to treat. At least 80% of those who develop this cancer are more than 75. Pleural effusion is usually the cause of the breathing difficulty. This is where excessive fluid builds in the pleura layers. A little fluid is normal, but excessive build up leads to labored breathing. This adds pressure on the lungs, and also causes chest pain that gets worse when you cough. Unfortunately, the life expectancy for a person suffering from this asbestos cancer is just 18 months. But recent advances in treatment can lead to people living for several years. Common combined treatments with surgery, radiation and chemotherapy can help people to beat the odds. Pleural mesothelioma is diagnosed by a doctor evaluating the early symptoms. A person suffering from regular chest pain and breathing difficulty will usually result in a chest x-ray being done. This initial scan will often show fluid or tumors in the lung area. Next, the doctor will probably refer you to an oncologist for further tests. More imaging, blood tests and biopsies may be ordered. FAST FACT – It is often difficult for even highly skilled specialist physicians to distinguish between lung cancer and mesothelioma. Scans and x-rays help, but a biopsy or thoracoscopy is needed for a definitive diagnosis. This is where a small camera is put into the chest and a tissue sample is extracted. There are several systems to stage pleural mesothelioma cases. Each uses four stages that distinguish the level of development of the tumors. These in most cases are referred to as stages I, II, III and IV. The first two stages are used where localized tumors are present. The last two signify cases where the tumors have spread. Chemotherapy: Uses one or more drugs to destroy cancer cells and to reduce sizes of tumors. Success rates are still low, although more chemotherapy drugs are being developed each year. The most effective drug treatment so far is a combination of cisplatin and pemetrexed. Radiation: Targeted blasts of radiation wipe out cancer cells. Radiation cannot be used to cure this cancer, but it can greatly reduce chest pain. One of the best types of radiation therapy is intensity-modulated radiotherapy. Surgery: May be an option for early-stage pleural mesothelioma. One of the common surgeries is a pleurectomy. Another is an extrapleural pneumonectomy. These aggressive operations are not possible in more advanced stages of the disease. People who are in otherwise good health will respond better to cancer treatments. Pleural mesothelioma patients who are in good health and a reasonable level of physical fitness are better able to shoulder the side effects of aggressive cancer treatments. If you smoke, you will definitely have a poorer prognosis. You should quit immediately. Also, eating a good diet rich in fruit and vegetables will improve the health of the immune system. Sleep also is important, so get a good night’s rest at the end of every day. Your cancer doctor will decide which cancer treatments are best for your specific type of pleural mesothelioma. How good your prognosis is will depend upon the stage of the cancer, the type of tumor cell, and your general health. People who have early stage tumors and epithelial cells in their tumors may be able to live beyond the normal one year survival by having chemotherapy, surgery and radiation. Patients who are in stage IV may have the best prognosis with chemotherapy alone. It is important for patients with pleural mesothelioma to have a low stress and healthy lifestyle. Making changes in your lifestyle will give your body the resources it needs to respond better to cancer treatments. Patients are advised to closely examine the stressors in their lives and try to reduce them where practical. For example, try to take major responsibilities off of your shoulders, spend more time with those you love, and take the time to enjoy your hobbies. Also, eating right, drinking water regularly and sleeping well will help your body respond more positively to cancer treatments. If you do your best to life as healthy as possible and take care of yourself, your prognosis with pleural mesothelioma may beat the averages. Statistics indicate that people with this cancer live longer than a year in 40% of cases. These numbers get more encouraging if you are in good overall health and have a healthy lifestyle. Approximately one in 10 live more than 36 months after being diagnosed. However, less than 10% currently survive longer than five years. Peritoneal mesothelioma affects approximately 20% of patients who have asbestos cancer. This type of cancer infests the linings in the abdomen that surround the stomach and intestines. The types of cells you have will influence how well treatments will work, and the types of treatments to try. The most common symptoms of this type of cancer are swelling in the abdomen, severe abdominal pain, distension of the abdomen, and severe diarrhea or constipation. Keep in mind that peritoneal mesothelioma is often misdiagnosed by a doctor who is unfamiliar with this rare and deadly cancer. Mesothelioma in the abdomen can be mistaken for more common conditions, such as an ulcer or appendicitis. Other less fatal forms of cancer also can form in the abdomen. If your doctor misdiagnoses you, chances of receiving life-saving treatment are much lower. The best treatment options, as with pleural mesothelioma, are usually a combination of surgery, radiation and chemotherapy. However, a recent and promising treatment is a type of surgery and heated chemotherapy solution. This treatment can lead to a better prognosis. Life expectancy for a sufferer of peritoneal mesothelioma is typically less than 36 months. This will depend upon the cancer stage, treatment options and the expertise of the cancer doctors treating the patient. Pericardial mesothelioma is the rarest form of asbestos cancer. Prognosis is grim because the heart lining develops tumors, and it is too close to this delicate organ for most treatments to be used. This type of asbestos cancer develops in the pericardium, which is the very thin membrane that surrounds the heart. This membrane consists of two layers – the parietal (outer) layer and the epicardium (inner) layer. Pericardial mesothelioma is extremely rare, with only 200 cases currently documented in medical literature. One of the interesting aspects of this type of mesothelioma is that it is unclear how asbestos fibers are able to get to the membranes surrounding the heart. It is scientifically proven how asbestos fibers are breathed into the lungs and can lead to pleural mesothelioma, but this type of asbestos cancer is more murky. The vast majority of pericardial mesothelioma sufferers have no symptoms until the disease is in its late stages. The symptoms mimic those of many other heart conditions, so diagnosis is difficult. The majority of symptoms are due to fluid build up around the organ, and the thickening of the layers of the membranes around the heart. The presence of any of these symptoms for long periods require the evaluation by a doctor. Diagnosis can be confirmed with x-ray, echocardiogram, CT scan and a biopsy. The causal relationship between pericardial mesothelioma and asbestos is not clear. We know that pleural and peritoneal forms of the disease are caused by asbestos exposure. Some patients with this form of the disease were exposed to the deadly mineral, but there are so few cases of mesothelioma involving the heart, it is challenging to understand how exposure and the disease are related. A study in the 1980s found that there was a history of exposure to asbestos in three of 15 pericardial mesothelioma cases. However the asbestos fibers become lodged in the heart membrane, the body does its best to rid itself of the toxic material. But they can get stuck in the membrane over decades, and can lead to cellular changes that can cause asbestos cancer. Pericardiectomy: This is the surgical process of removing some or all of the membrane surrounding the heart. This can reduce the pressure on the heart and reduce the buildup of fluid that leads to impaired heart function. Another related option is a pericardiocentesis, which can remove some of the excess fluid from the heart membrane. Chemotherapy: This is a common option for most asbestos cancers, but the clinical benefits for patients with this type of the disease are minimal. Radiation: This is considered minimally effective for pericardial mesothelioma. Palliative: These treatment options are often the most viable. The main purpose of palliative treatments is to reduce pain and symptoms that are caused by the fluid buildup around the heart muscle. This type of treatment can enhance the quality of life and make you more comfortable. Prognosis for pericardial mesothelioma is poor, even poorer than for pleural or peritoneal mesothelioma. At least 50% of patients die within 180 days of receiving their diagnosis. There has been some recent success however in patients who had part or all of the pericardium removed in surgery. After your asbestos cancer diagnosis is confirmed, it is important for you and your family to consider your legal options. If you suspect that you were exposed to asbestos in your employment over the years, it is advised to hire a mesothelioma lawyer who has a high level of experience with these cases. Even if you cannot remember how you may have been exposed to asbestos, a good team of legal professionals can often sort it out. Experienced mesothelioma lawsuit attorneys have the resources and investigators available to determine what may have led to your asbestos exposure, even decades ago. This legal team can often track down the companies and products that led to your exposure. Once the culprits have been possibly found, it is possible to file a personal injury or wrongful death lawsuit seeking compensation for injuries and pain and suffering. If you have been diagnosed with asbestos cancer, please contact our mesothelioma attorneys today for a complimentary consultation.